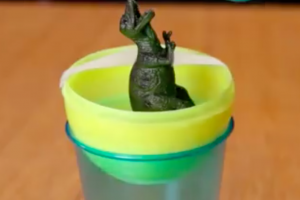 So Fun What Happens When You Put A Plastic Dinosaur Into An Easter Egg! 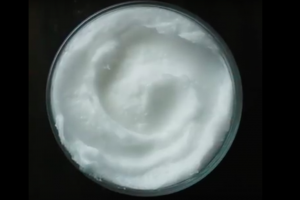 You Are About To Learn 10 Ways To use Coconut Oil In Only 1 Minute! 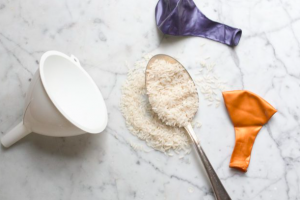 There Is A Great Reason To Put Rice Into A Balloon! 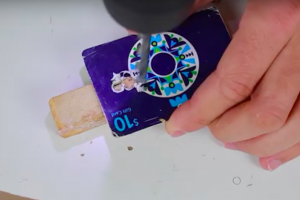 He Drills Holes In This Card To Hack A Tool That You Didn’t Even Know You Needed! 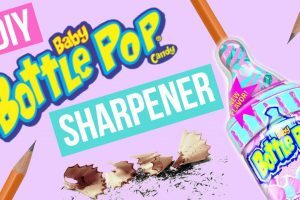 A Wood Burning Tool Makes A Hole In A Candy Container And Now It’s Been Perfectly Upcycled! 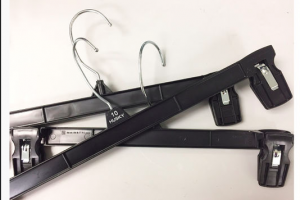 The Way He Upcycles These Plastic Hangers Is Pretty Genius! 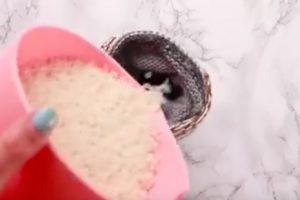 Pouring Rice Into An Old Sock Just Happens To Be Genius! 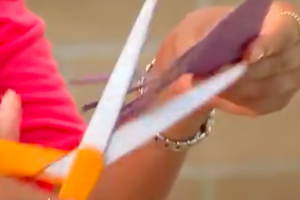 She Is Dipping Her Engagement Ring Into Hot Glue For A Great Reason! She Makes Random Cuts Into Sandpaper And Boom! Works Like Magic!